Are you throwing a party or want to entertain guests at a corporate event? Well, you are definitely in the right place. At Arcade Direct, we have a fantastic choice of retro and classic arcade machines that are going to make any memorable. 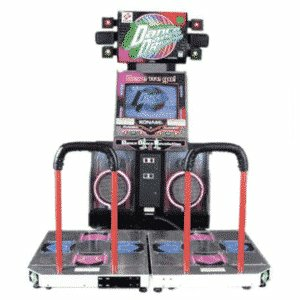 In particular, we find that guests love dance machines, because they are multiplayer and a lot of fun. We have a fantastic choice of dance machines that you can hire today for any event. So, let’s have a closer look at why you should hire them for your next special occasion! If there is one game that all ages enjoy playing it is a dance arcade machine. Of course, the rules are simple; all you have to do is step on the footpads that light up and in time to the music. This allows you to progress through the song and collect maximum points. It is that easy and it is a lot of fun. Of course, there are songs with different difficulty levels, which means that you can choose how easy or hard you want the dance to be. You can choose from classic songs to the latest pop songs; you decide what you dance to! What’s more, the great thing about dance arcade machines is that they are a multiplayer game. This means that two people can have fun and dance together. This is fantastic for at parties and other events. Not only will it be entertaining for the people that are dancing, a lot of people also love watching the dancing too. With fantastic speakers, the dance arcade machine blasts famous songs that people cannot resist. So, what are you waiting for? You can get your groove on at the next party or event you are having by hiring a dance arcade machine from Arcade Direct today. You will not find a better choice of dance arcade machines anywhere else other than at Arcade Direct. We secure all the best retro and classic arcade games throughout the years to make sure that everyone can find their favourite. We fully recondition all of the machines to their original glory and we find that guests love the nostalgia of their favourite games. If dance arcade machines are not your style, you can also choose from a large selection of other games. We have everything from fighting and shooting games to driving and pinball arcade machines. You can browse our fantastic collections today and hire them for any event or party that are you are organising. Having an arcade machine will make sure that all of your entertainment for the night is sorted and everyone will be excited when they see the bright and flashing lights. When you hire a dance arcade machine from Arcade Direct, we take care of all the small details for you. We will send and deliver the machine of your choice to your chosen venue and have it all set up ready to go. Your guests will not know the fun they are in for on the day or evening! 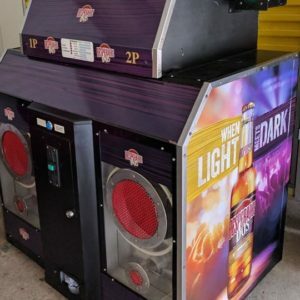 In addition, after your successful event or party, we will pick up the dance arcade machine for you so that you don’t have to worry about it. We make sure that every hire is simple and easy so that everyone can concentrate on having fun and dancing to the beat!